In Gas Compression, Gas Treatment on Wednesday June 14, 2017. 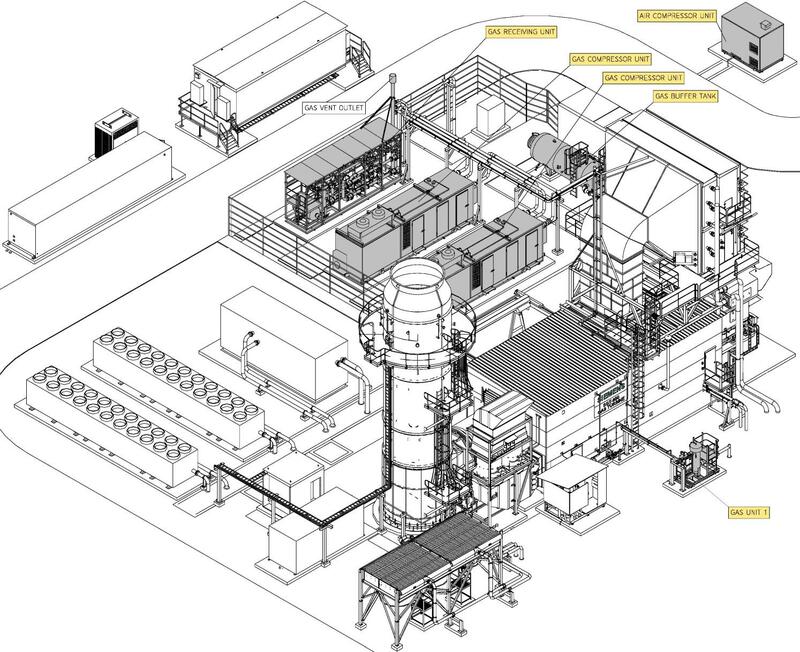 For a power plant using an SGT-800 Gas Turbine, Eltacon delivered several Balance of Plant equipment for installation in Peru. The plant is situated in Malacas Peru. In order to operate the SGT-800, the client uses several Balance of Plant equipment to guarantee plant operation. The delivery of Eltacon consists of a Gas Receiving Unit including Gas Chromatograph and flow metering, 2×100% Gas Booster Compressors, Gas Filter Unit, redundant Air compressor Unit and a Fuel Gas Buffer Tank. All equipment is specifically designed to operate in the harsh environment for decades. The complete configuration with 2×100% gas compressors and a 20m3 buffer tank enables the client to switch from the lead to the lag unit without interruption of gas feed towards the GT, ensuring a continuous reliable back-up system. Each compressor package has an oil-lubricated screw compressor driven by a 480 V / 60 Hz, 510 kW E-motor. The package inlet pressure 15,5 up to 19,5 bara, required outlet 31,5 bara, capacity 10.800 kg/h. Having not only the compressor units but the complete fuel gas equipment ordered at one supplier, enables to client to have only one main supplier and one point of contact. This enables high efficiency during the project and start-up at site from both the supplier and the customer side.